People need insights – on the go. In financial markets, quick decision making can make the difference between boom or bust. This financial investment firm needed a better way to know what to buy, hold or sell at any given moment – not just when they were in front of their computer. 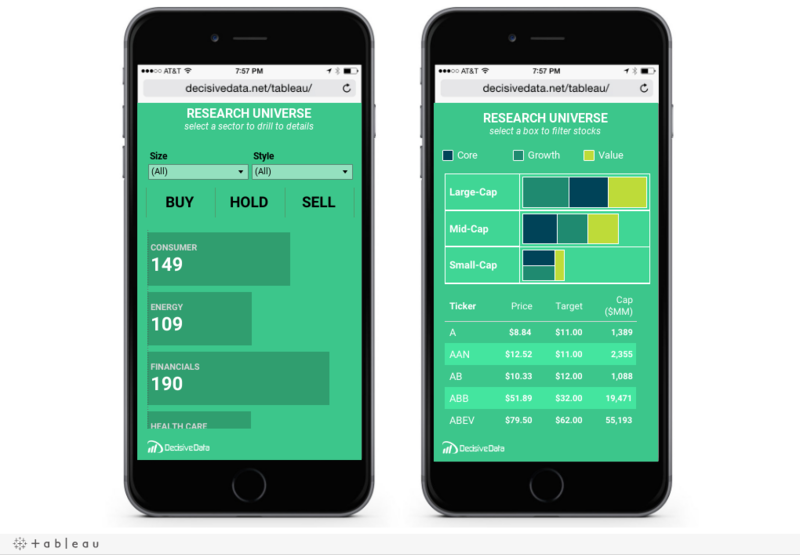 This mobile view supplied the insights needed to make quick decisions and drive the next action for the financial analysts at the firm. Analysts can identify their portfolio distribution, price targets and trends in buy, hold and sell patterns. These dashboards provide instant access for client inquiries.